Welcome to the Online Gambling Bible. 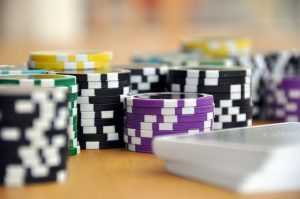 Having spent many years playing online poker pretty seriously we’ve developed an expansive knowledge of the game and the gambling industry. As well as being a source of solid information, one of the main aims of this site is to review online gambling sites. This is to help others choose wisely and not end up playing at sites that offer poor value or have shady finances. As well as that we write about news from the world of online gambling, including details about new sites, plus previews of all of the big poker and sports betting events. Whether you’re here to find out about poker, roulette, soccer betting or even bingo, the Online Gambling Bible has reviews of all of the big sites as well as tips, strategy and news from the world of internet gambling. 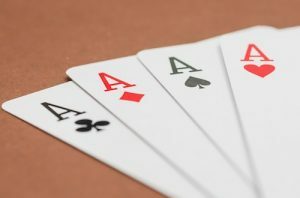 Though some might argue that the online gambling poker boom may have passed now that we are in 2019, and the game isn’t as big as it was a few years ago, poker is still a massive draw. All you have to do is log on to PokerStars on a Sunday night and see hundreds of thousands of players online to prove it! With so many sites competing for your money, it can be difficult to find the most suitable poker site for you to play on. Some sites are better than other for cash games, some are better for tournaments and some are better for unusual games like Stud and Draw poker. Online sports betting brings a new dimension to the enjoyment of watching sport on TV. Gone are the days where you have to get up off the couch to bet on your favourite sports. Nowadays you can lounge around on your laptop or tablet and have your pick of the odds on whatever you want to bet on. If it’s on TV, then you’re guaranteed to be able to bet on it somewhere, and if you want to bet on it but can’t find it, chances are you’ll be able to pick a free stream online somewhere if it’s any sort of major event. You can’t watch a sporting event now without there being tons of gambling related ads during every commercial break and again, finding the best value place to get your bets on can be pretty daunting. For example, most people aren’t aware that BetVictor offers some of the best odds when it comes to football betting. There’s no denying that watching a game or a fight is more fun when you’ve got some money on it, even if its just a small flutter, not only because of the money, but the feeling of getting one over on the bookmaker! Online casino sites have all of the popular casino games that you’re used to, like Blackjack, Roulette and Slots – and lots that you’ve probably never heard of, too! The top online casino sites have talented teams of developers that give the end product a great feel, with smooth graphics, quick game play and a casino-feel. 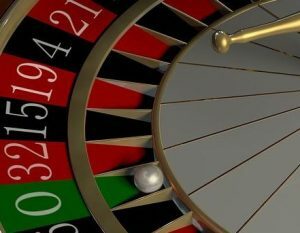 What’s more, online casinos have much bigger payouts than their live equivalents, so if you’re looking for that big spin-up then online casinos are the place to do it. When looking for an online casino, you want to find one that has all of the games you want to play, good payouts, good software, and most importantly a big fat deposit bonus. If you like to play some poker and do some sports betting too, it can be convenient to sign up to one of the bigger sites that covers all aspects of online gambling. You should also be sure that you’re playing at a fair and trusted site. All of the sites recommended by Online Gambling Bible are licensed in a trusted jurisdiction, and operated by well established global gaming brands with fair payout percentages. 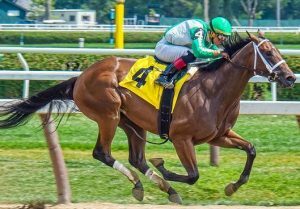 > Check out our 2019 online casino guide. Bingo isn’t really gambling in its purest sense. Most people who enjoy bingo enjoy it for the social aspect and the thrill of winning a few quid every now and then is a nice bonus. 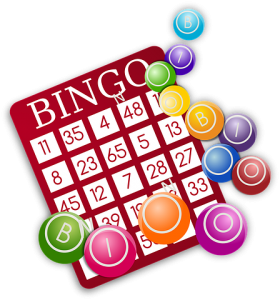 Online bingo has risen in popularity in recent years, but a lot of people who really enjoy going to the bingo hall haven’t gotten into the online game yet, afraid that the social element isn’t there. The truth is that online bingo in 2019 is great fun and it’s possible to make friends at the online bingo sites through the chat room. All of the bingo games at the major sites come with a chat room attached so you can chat away to the other players while you play the game. There are literally hundreds of online bingo sites out there these days, and choosing the the most fun and trustworthy ones ain’t easy. We’ve gone to the trouble of playing at a lot of online bingo sites and we’re reporting back to you with the best bingo sites for 2019. At the moment, we feel that there are a few top places to play. With friendly chat rooms, a nice deposit bonus and lots of other games like bingo slots, we’re sure you’ll enjoy using this selection. As with all forms of risking your money online gambling, it’s important to enjoy it in moderation without getting too carried away. For this reason, please also know that we support gambling responsibly. There are some good resources on this subject to take a look at, including those in the footer, below.